You have to agree, if Bitcoin makes it another 10 years it is here to stay. In the year 2025, there are ‘Bitcoin Accepted Here’ signs everywhere. Paypal didn’t manage to adapt, and now they are gone. Amazon didn’t have a choice, customers demanded it. 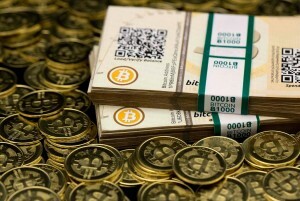 With 1 Billion new Bitcoin wallets generated over the past 10 years, the price has soared to $300,000 per Bitcoin. The current price has created countless millionaires and billionaires. It has also created a new target for thieves. Thieves have begun to focus on people who own even 1 Bitcoin. Although the system of ownership is anonymous, anyone who has accepted a Bitcoin into their wallet over the past 10 years can be traced back to the original sender. If I sold you a bike 8 years ago for 1 Bitcoin, and that money is still in my wallet today, the criminals can track me down by interrogating the buyer. Yes, I purchased a bike from Mr. West in 2018 for 1 Bitcoin. I am now a target. How can I be forced to give up my private key? That part is easy. The criminals take my dog, my daughter, or even my wife. They blackmail me, harass me, or damage my property. It is a system of thievery that has been around for thousands of years, and Bitcoin, and Bitcoin owners need to be ready for it. If you believe that Bitcoin is going to make it to $300,000 per coin, or higher, and have bought Bitcoin as an investment, you need to be prepared. Use temporary wallets for transactions. Do not keep large amounts of Bitcoin in single wallets. Don’t tell anyone how much Bitcoin you own, not even friends or family.